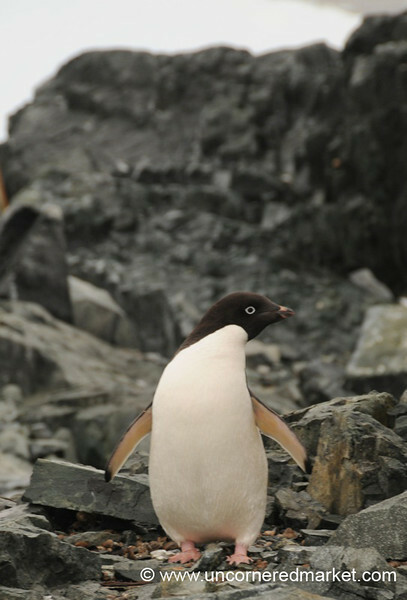 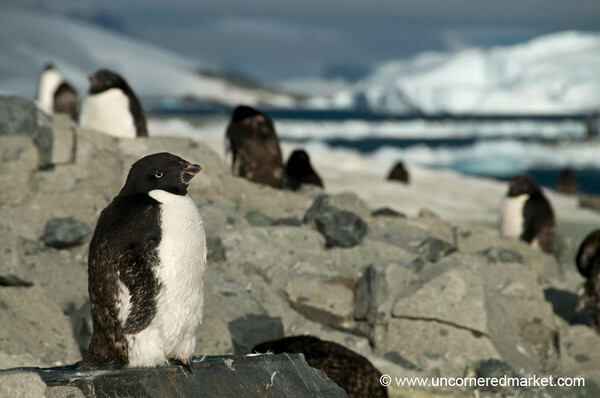 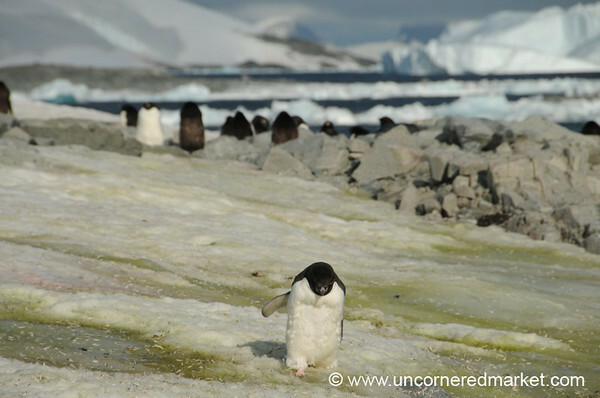 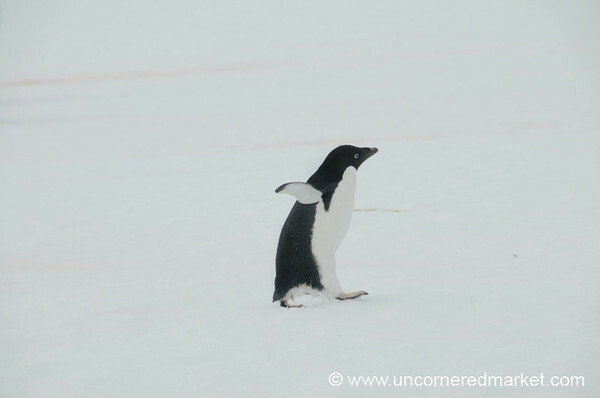 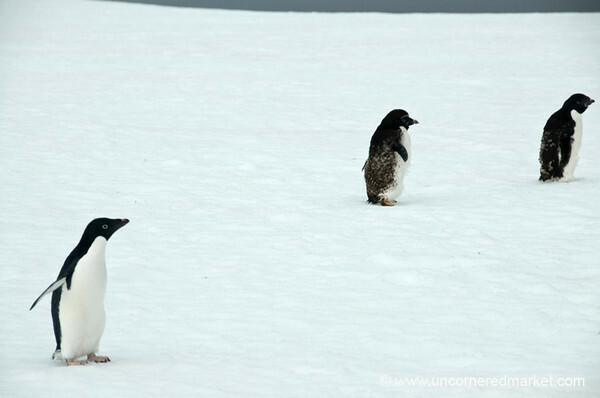 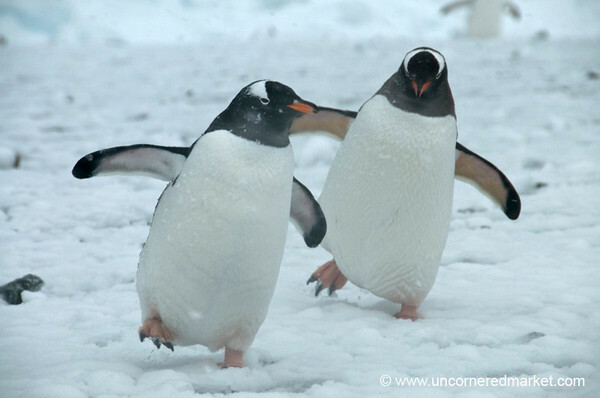 A little Adelie Penguin takes a stroll across the snow from one penguin group to another. 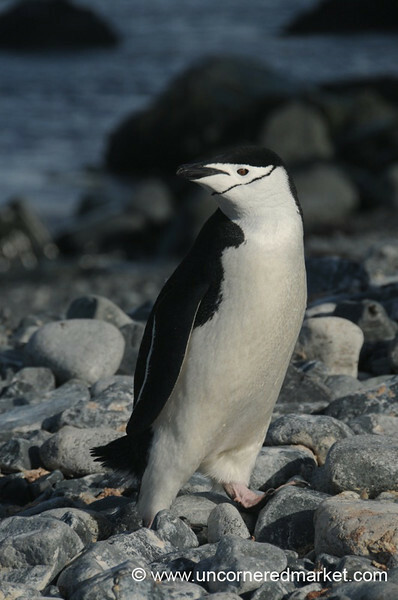 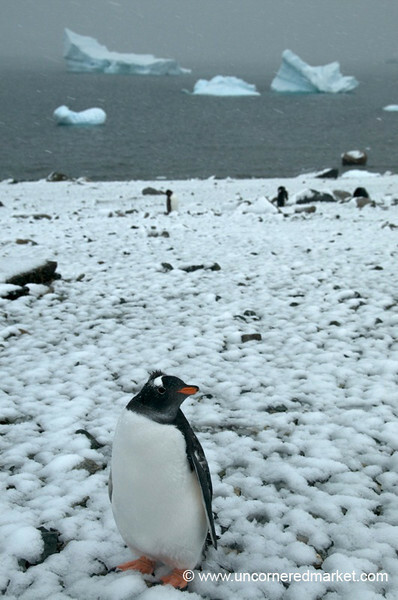 Taken at Prospect Point in Antarctica. 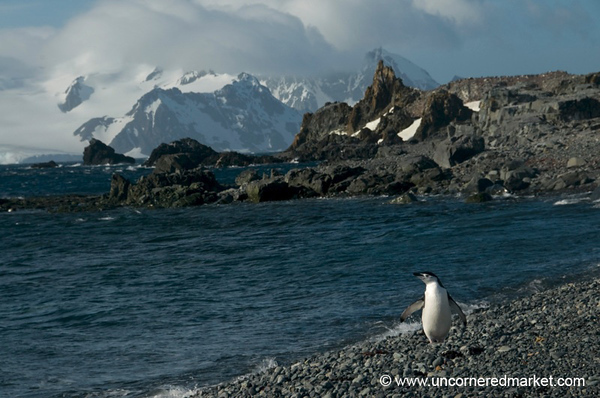 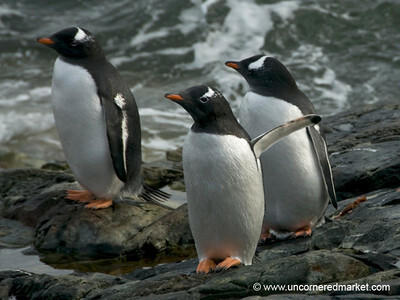 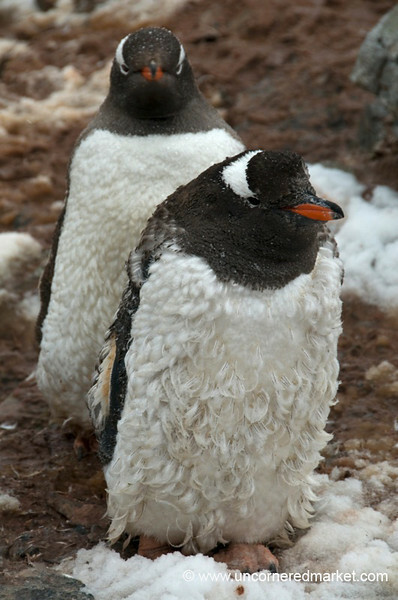 A young Gentoo Penguin peers curiously at us on Danco Island in Antarctica. 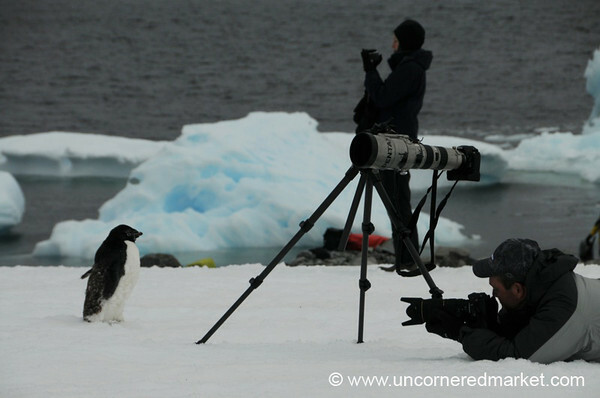 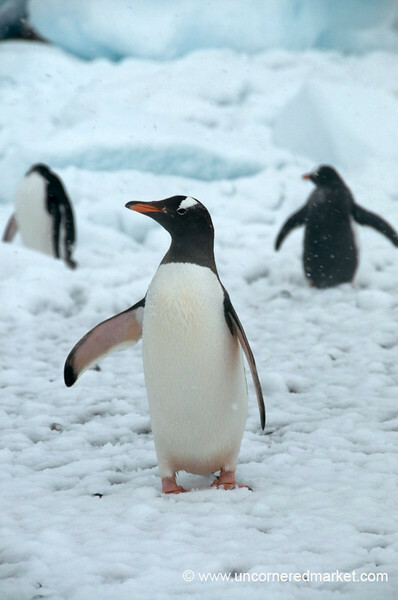 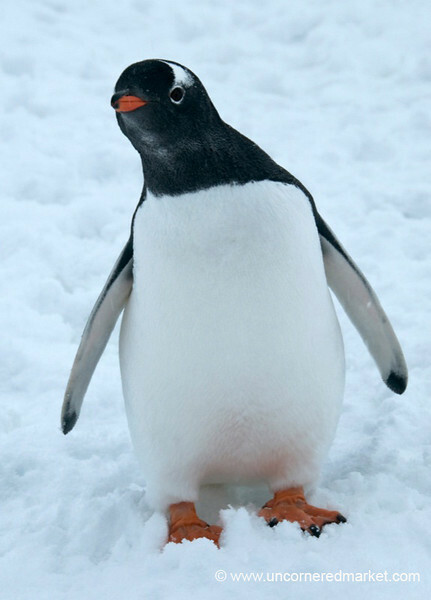 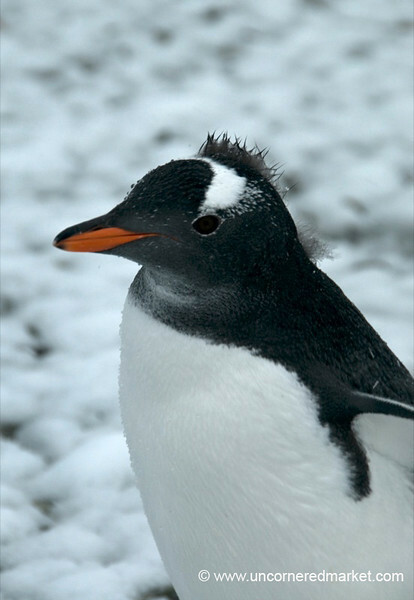 A young Gentoo Penguin poses for the camera on a snowy Danco Island in Antarctica. 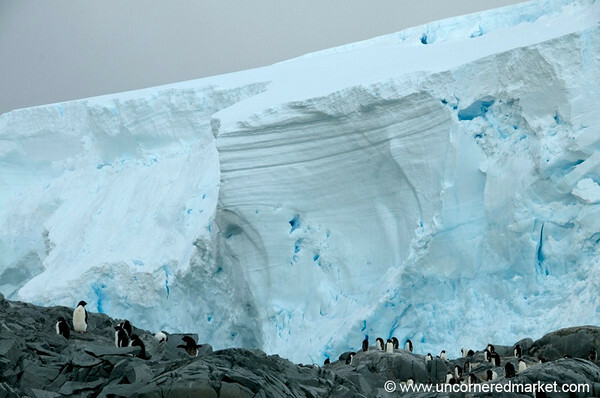 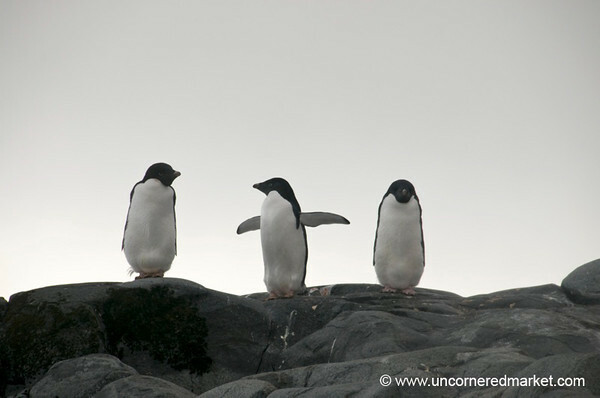 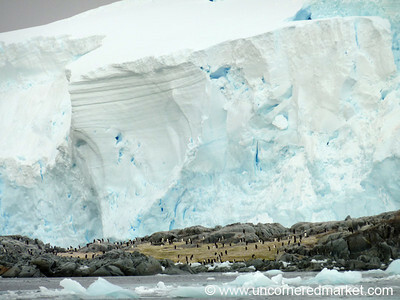 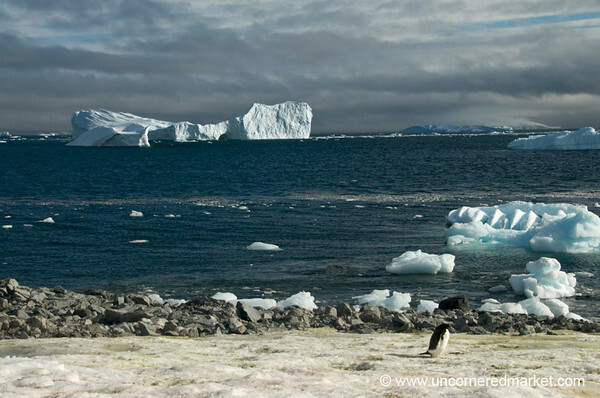 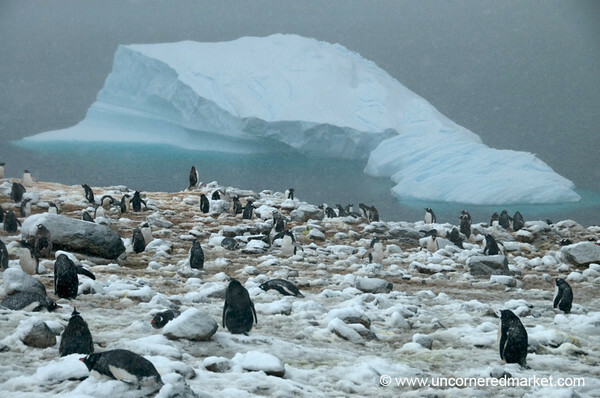 A group of penguins near a glacier in the Fish Islands in Antarctica.